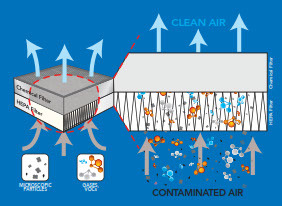 Sources: cleaning agents, plasticware, media, liquids, furnishings, equipment, personnel and common air pollution. 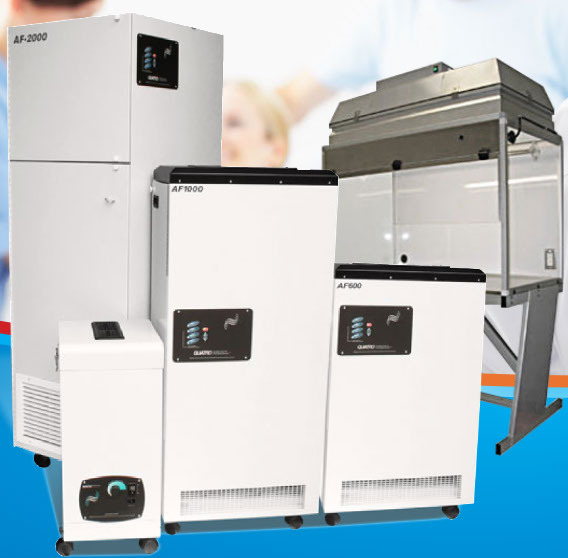 Contaminants: styrene, acetone, benzene, toluene, octane, n-Decane, freon, acetaldehyde, nonane, methylcyclohexane, ethanol, isopropyl alcohol, hexachlorocyclohexane, lead, carbon. 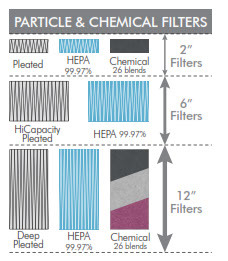 The ideal combination of HEPA and customized chemical filters.